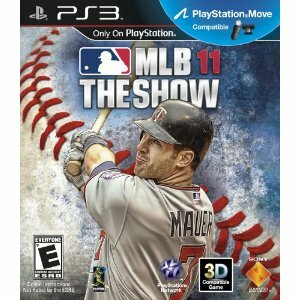 Forum member Rudy Dyck has contributed his thoughts on the MLB2K11 demo which released on 3/1/2011 for the Playstation 3 and XBOX 360. It’s disappointing that 2K Sports released such a limited demo. This is what they usually do but releasing a demo without difficulty options, camera options, slider options and no commentary doesn’t allow you to get a true feel for how the game will be. The commentary is one of the best things about the game (based on 2K10) and yet people aren’t able to experience it. At least I knew that going into the demo. Overall I’m happy with my demo experience although how I really feel about the game won’t be known until I have the full copy and can adjust things the way I like. The demo is just too easy on the default settings. I played 5 games and won 4 (blew one totally with some bad defensive decisions in the 3rd) and hit 8 HRs while giving up no HRs while pitching. The game looks pretty good to me although it looks very similar to 2K10 as well. The colours and lighting both look very good. The two things that seem better are that the game is smoother and the player models are better, the legs specifically. I didn’t think the player models were that much different from the videos but playing the game they do look significantly better. I did notice the frame rate hiccup at times and it wasn’t a big deal. It probably won’t be in the retail version so I don’t think it’s a big deal. I also noticed the HR glitch where I hit a 407 foot HR with Josh Hamilton to dead CF and it was ruled a HR and an out. I hope that isn’t something we’ll see in the retail copy. This was the strength of 2K10. I loved gesture pitching but as fun as it was, it was too easy to hit your spots and that hurt the long term value of the game as you rarely walked anyone. The demo on Pro seemed about the same as 2K10 with pitching made as difficult as I could make it (still too easy to hit your spots). 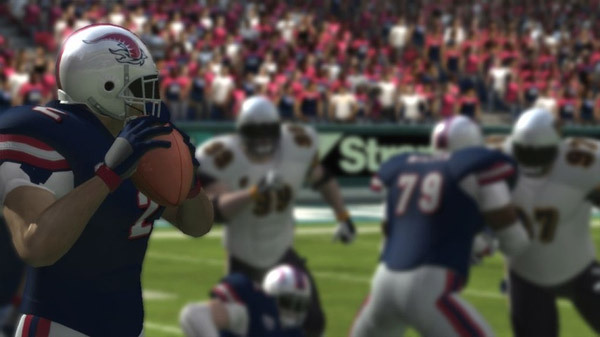 But with the pitch control slider in 2K11 I really think pitching will be fantastic this year. I did notice that the pitch speed seemed slow compared to the batting camera for some reason but I adjusted quickly (I have played some 2K10 lately and it’s slow compared to that as well). The cpu didn’t seem overly swing happy and I did strike out two guys looking. The variable strike zone is a refreshing change from the huge strike zone in 2K10. This was an area I considered below average in 2K10 and quite frankly needed quite a bit of work. I see the biggest improvement in 2K11 here. The bat off the ball physics is great and maybe the best I’ve seen. The hit variety is much improved as you see pop ups around home, balls finding their way between infielders (rare in 2K10) and the feel is just really good. I see significant improvement here. I’m not a huge fan of the camera angle following the hit. I think it makes for a smooth transition to the fielders after the hit and it also seems realistic as though you were actually at the plate. But the camera doesn’t follow the height of the ball on hits to the outfield and it can make it hard to see exactly where the ball is. When you hit a HR the beauty of following the ball out of the ballpark is lost. While I have grown to like the camera more I would most likely switch back to the normal angle of 2K10 if I could. The developers said they toned down the opposite field power but I really didn’t see that. I hit eight HRs with two of them pulled, three to CF and three to the opposite field. The jury is still out on this. The cpu never hit a single HR against me. It was on pro but there was too big a gap between a contact swing and power swing last year. I played with cpu power at 100 last year to help the cpu hit for more power and I can only hope that the cpu isn’t a singles machine in 2K11. Again, the jury is still out for me in this area. I was stunned when initially executing a simple throw to first base. The meter moved quicker than I expected and if that meter reaches the red zone look out! The ball will be in the dirt (saw a couple nice scoops by the 1B) or off the mark. I was disappointed that two of my throws early on pulled the first basement off the bag and neither play was recorded as an error. In five games I never saw a booted ball until my final game when I smoked a line drive at Aubrey Huff who muffed it and I was safe (they did give him an error). I consider that a good thing as I was worried the new emphasis on bobbles might be overdone but sliders can fix this anyways. I really felt Josh Hamilton being slow in the OF and you can see the difference between the fielders. I would have liked if the fielding camera was still zoomed out some more like 2K9’s camera but I can live with it. Rocket arms are gone but did it go too far? I think the arm strength relative to the base running speed is fine. I saw double plays and no overall concerns. However some infield throws can look too slow depending on how you execute the meter and the arc on the ball can look weird since most throws in MLB don’t have an arc to first base. This may just be related to user error with the throwing meter in the field. I am happy with the demo. 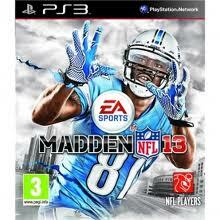 It is an upgraded version of 2K10 where the changes made should significantly upgrade it for 2K11. Unfortunately without any options to play with we won’t know exactly how upgraded 2K11 will be but I’m buying it day one anyways. 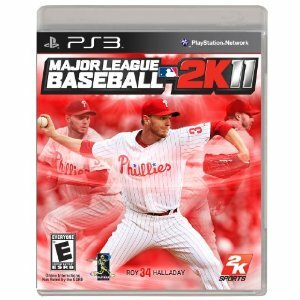 To read more the communities thoughts, check out our forums on MLB2K11. Hi my loved one! I wish to say that this post is awesome, great written and include approximately all vital infos. I would like to see more posts like this .